National Museum of Japanese History, ed. 2019. 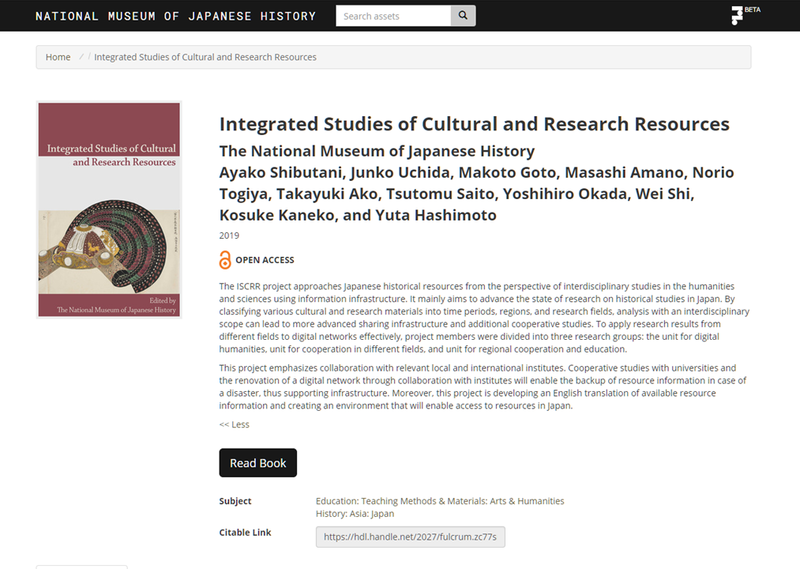 “Integrated Studies of Cultural and Research Resources”.